I'll talk about this more when I get to it, but as that will be a while yet: I take this story as a tale about literary or mimetic realism, which at its very best seems to offer the exact details of human life in miniature (and its creators as great-hearted observers of mankind), but which nonetheless proves to be based on magical operations (and its creators having no guarantee of character). 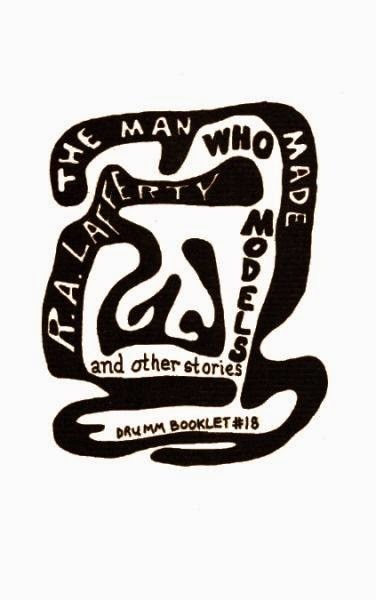 It's a typical Lafferty inversion: though the mimetic may seem to be—and for many years was regarded as—the primary mode of literature, and everything nonmimetic or fantastic a deformation of that central precept, the truth is that the mimetic is really just a very, very small and rarely very interesting subset of the entirety of literature, of all of which is of necessity fantastic. 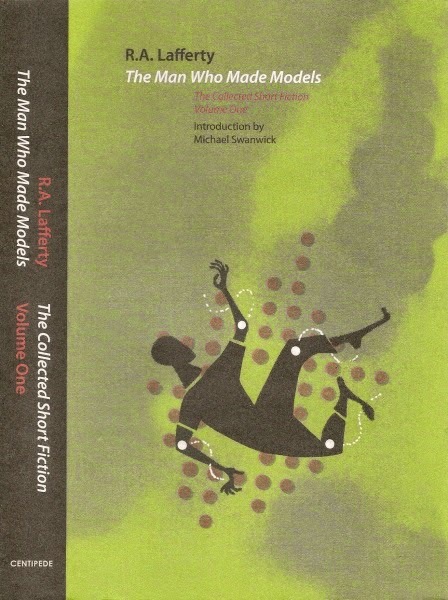 So in some ways, then, Skaber represented Lafferty, and his miniatures stood in for Lafferty's stories. Of course the Harps are the harping critics saying "No, that is not accepted form-those are not stories as we accept." And of course, they were scoundrels to the core. In that point of view, who is Wrackwolf? Of course, such parallels are not absolute, and this is only one point of view to look at the story from.